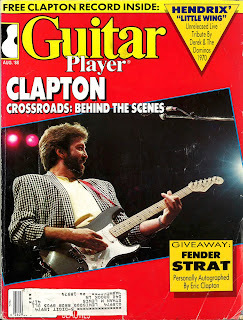 The August 1988 Guitar Player magazine featured an interview with Eric Clapton ruminating on his Crossroads box set and his new signature model guitar; a very good interview with Fred Newell who was the guitarist on cable's The Nashville Network's "Nashville Now" tv show. Also, some interesting observations about the earliest Telecasters from historian Richard Smith. Cool, that is a good one. Thanks!